Akram, S (2011) Furniture exhibited as part of group show, ARCO OKAY. The Garage Gallery, London, UK, 17-25 September 2011. Atkinson, N (2011) For those in peril: music, Melville and Charles Olson. In: Dominion, 10 January 2011, University of Plymouth, Plymouth, UK. Bandookwala, F, Boos, E, Brachlow, H and Harrison, K (2011) Jerwood Makers Open: Farah Bandookwala, Emmanuel Boos, Heike Brachlow, Keith Harrison. In: Jerwood Makers Open, JVA at Jerwood Space, 13 July - 28 August 2011. Bonnell, M (2011) The Muir Trust Artist in Residence. County Musuem, Aylesbury, UK. Bonnell, M (2011) Print! The Exchange Gallery, Cornwall, UK, 9 April - 2 July 2011. Brown, R (2011) Paper Hearts. Bryant, J and May, S (2011) Higher 4: the price of partnership. In: Afternoon Drama, BBC Radio 4, 9 August 2011. Bryant, J and May, S (2011) Higher 5: restructure. In: Afternoon Drama, BBC Radio 4, 16 August 2011. Caulfield, L.S (2011) An evaluation of the artists in residence at HMP Grendon: final grant report to the Motesiczky Charitable Trust. Christie, C (2011) East Pop West [group exhibition]. Red Gallery, London, 30 September - 2 October 2011. Christie, C (2011) Home where we belong [group exhibition]. Weltraum, Munich, 12 March - 3 April 2011. Christie, C (2011) Minimum after Minimalism [group exhibition]. Intervention Gallery, London, 30 April - 22 May 2011. Christie, C (2011) Portability and Network [group exhibition]. Spaces, Cleveland, Ohio, 26 August - 21 October 2011. Christie, C (2011) Spring Selections [group exhibition]. Flowers Gallery, New York, 22 April - 14 May 2011. Christie, C (2011) U has to trust the i. 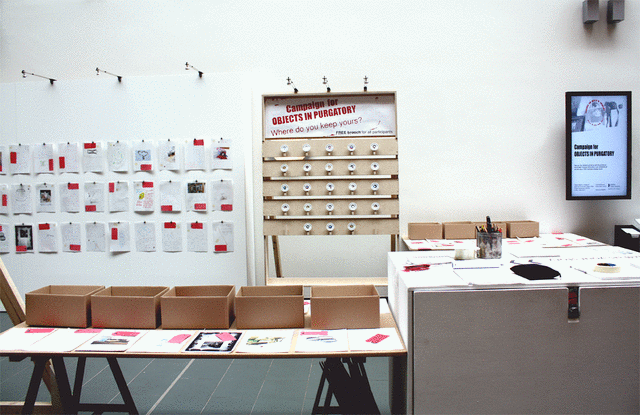 In: Invasive Alien Species, Venice Biennale, 1 - 12 June 2011. Christopher, L (2011) Stolen: a novel [and] Contextualising research: the making and changing of Stolen. PhD thesis, Bath Spa University. 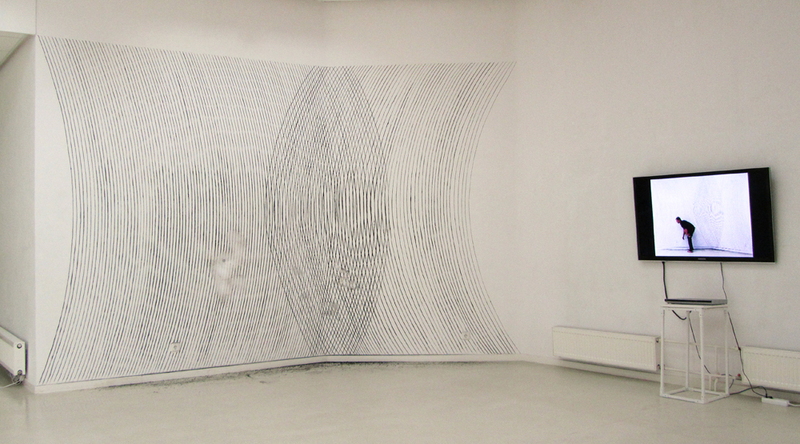 Cockayne, A (2011) Solo exhibition. In: Dominion, Peninsula Arts, University of Plymouth, Plymouth, UK, 21 January - 5 March 2011. Dalwood, D (2011) "De Kooning, De Kooning, De Kooning...". David Risley Gallery, Copenhagen, Denmark, 15 January - 26 February 2011. Dalwood, D (2011) Dichter und Drogen: solo exhibition accompanied by catalogue. Gallery Judin, Berlin, Germany, 10 September - 17 December 2011. Dann, L (2011) BBC radio drama commissioning (1989-2009), and two scripts emerging from twenty years of change. PhD thesis, Bath Spa University. Deegalle, M and Obuse, K (2011) 'Practising Buddhist principles in the Japanese business world: Kazuo Inamoris thought.' In: Buddhist virtues in socio-economic development UNDV Conference volume. Proceedings of the 8th International Buddhist Conference on the United Nations Day of Vesak Celebrations. Thailand, 12-14 May 2011. UNDV, Ayutthaya, pp. 38-50. Dickinson, J (2011) Infinite Process From Finite Form. In: Seeing Sound: Practice-led Research Symposium, 29-30 October 2011, Bath Spa University, Bath, UK. Dickinson, J (2011) Infinite Process in Finite Form. In: Sound, Sight, Space and Play, 8-10 June 2011, Music, Technology and Innovation Research Centre, De Montford University, Leicester UK. Dunseath, J (2011) Site construction [solo exhibition]. Outpost Gallery, Norwich, UK, February 2011. Dutton, S (2011) 'On the specificity of biennials.' AN Magazine, Dec.
Dutton, S (2011) Untitled conference paper. In: Creativity, Play, and the Imagination across Disciplines, 26 - 28 May 2011, Columbia University, New York City, NY, USA. Dutton, S and Beales, K (2011) 'Cuts in culture.' AN Magazine, Dec.
Dutton, S and Swindells, S (2011) Blind Python with Jewelled Eyes [group exhibition]. Greestone Gallery, Lincoln, UK, 7 - 22 December 2011. Ellis, K (2011) Oral and literate culture on the English stage, 1624 - 1634. PhD thesis, Bath Spa University. English, L (2011) Autumnwatch Unsprung. English, L (2011) Passing On. Evans, P (2011) Hy Brasil. BBC Radio 4, 5 September 2012. Evans, P (2011) The Waterboatman's Song. In: Nature, BBC Radio 4, 12 January 2012. Fishenden, J (2011) Interactive computer visualisations of time and place. In: Theory and Practice of Computer Graphics. The 29th Conference of the UK chapter of the Eurographics Association, 6-8 September 2011, University of Warwick, Coventry, UK. Hadley, T (2011) The Writer's Dickens. Hare, L and Goode, A (2011) Winter. Blurb. Harrison, K (2011) Float: a clay sound system. In: Jerwood Makers Open and tour, Jerwood Space, London, UK, 13 July - 28 August 2011. Harsent, D (2011) In The Locked Room. In: Edinburgh International Festival, Edinburgh, UK, 30 August 2012. Hattingh, L (2011) Representations of meaning. In: The United Kingdom Literacy Association (UKLA) 47th International Conference, 15 - 17 July 2011, University of Chester, Chester. Hayman, J (2011) Rail tracks (a novel) a critical study of transport crashes as a theme in certain contemporary novels and works of non-fiction, and of how these works influenced the writing of Rail tracks (critical study). PhD thesis, Bath Spa University. Head, A (2011) 3D Weather [website]. Head, A (2011) 3D Weather – Towards a Real-time 3D Simulation of Localised Weather presented at EVA 2011. In: Electronic Visualisation and the Arts (EVA 2011), 6 - 8 July 2011, London, UK. ISBN: 978-1-906124-88-5 and (http//:www.3dweather.org). Head, A (2011) Pump Room Pinball for Comic Relief. Pump Rooms, Bath, 18 March 2011. Head, A (2011) A painterly approach to 3D graphics. In: Electronic Visualisation & the Arts (EVA) 2011, 6 - 8 July, London. Hill, T (2011) In search of John Robinson. In: Book Encounters: 1500-1750, 1 July 2011, Bath Spa University: Corsham Court..
Hill, T (2011) The city celebrates: the Lord Mayor's Show, 1585-1639. In: The Guildhall 600th Anniversary Public Lecture Series, October 2011, Guildhall, London, UK. Hogg, A (2011) The Magic Theatre: new works by contemporary illustrators. Touring exhibtion. Hogg, A (2011) On line assessment development. Howard, R (2011) Storyville. .
Hugill, A (2011) City soundings. In: International Radiophonic Creation Day, 4 June 2011. Hugill, A and Hendler, J (2011) Creatively abusing the semantic web. In: ACM Web Science Conference 2011, 14-17 June 2011, Koblenz, Germany. Hyde, J (2011) Anatomica #3. Korzo Theater, Den Haag, The Netherlands, 27 May 2011. Jebanasam, P (2011) Music for the Church of St John the Baptist. Jeffers, J.M (2011) Confronting climate: linking knowledge, values and decision-making to vulnerability and adaptation in Ireland's coastal cities. PhD thesis, Rutgers, the State University of New Jersey. Jeffers, J.M (2011) Intersecting crises and double exposures: economic recession and climate change in Ireland. In: Association of American Geographers Annual Meeting, 12–16 April 2011, Seattle, Washington, US. Jeune, N (2011) From Page to Screen. Bridport Arts Centre/Electric Palace, Bridport, UK, 13-17 April 2011. Jeune, N (2011) Screenwriting with William Nicholson. In: Bath Literature Festival, Bath, UK, 25 February - 6 March 2011. Johnson, R.M (2011) Earth, water, wind and fire: sediment dynamics in the English Lake District. In: Environmental and Social Research Seminar Series, November 2011, Bath. Jones, O (2011) Black rain and fireflies: filmic depictions of children's’ emotional and affective geographies within adult structured worlds. In: RGS-IBG Annual Conference, 31 August - 2 September 2011, Kensington Gore, London. Jones, O (2011) Hidden/other geographies of displacement and compulsory purchase in the UK. In: Institute of Geography & Earth Sciences Seminar Series, May 2011, Aberystwyth University, Wales. Jones, O (2011) Imagining (hidden) instances of rural displacement in the UK. In: RGS-IBG Annual Conference, 31 August - 2 September 2011, Kensington Gore, London. Jones, O (2011) Sylvan spirits: trees as makers and shapers of strange places. In: Strange Naturalisms: Reflections On Occult Geographies, 22 February 2011, Royal Holloway, London. Jones, O (2011) 'Up close and personal': witnessing the spatio-embodied narratives of individual animal lives. In: RGS-IBG Annual Conference, 31 August - 2 September 2011, Kensington Gore, London. Jones, O (2011) Views of (distant) bridges: landscape, affect and emotion memories. In: Media Cultural and Journalism Research Seminar Series, December 2011, University of Glamorgan, Wales. Jones, O and Barker, N (2011) 'Tides, coasts and people: culture, ecology and sustainability.' In: Littoral 2010: adapting to global change at the coast. EDP Sciences, France. Jose, N (2011) The man and his thoughts. Australian Literary Review, 6 (9). Jury, C (2011) Narrative And Moral Meaning. In: Sixth International Conference on the Arts In Society, 9-11 May 2011, Berlin-Brandenburg Academy of Science & Humanities, Berlin, Germany. Kampe, T (2011) Existere. testbed, Battersea, London, UK, July 2011. Kampe, T (2011) Rupture. In: Crisis Art Festival, Arezzo, Italy, 2011. Kampe, T (2011) The secret consul. Limehouse Town Hall, London, UK, 2011. Karantonis, P (2011) A 21st century festival of indigenous opera? Dismantling the hierarchies of opera-making to build new audiences. In: Building Reconciliation and Social Cohesion through Indigenous Festival Performance: European Research Council Symposium, 18 November 2011, University College London Institute, Paris, France. Karantonis, P (2011) Opera as masterful nation building – the case of early 20th century Greece. In: Performance Studies International PSi #17, 27 May 2011, University of Utrecht, Utrecht, Netherlands. Karantonis, P (2011) The global science of voice and the vocal school of nationhood – towards a model of understanding or refuting ‘national schools of singing’ in opera. In: Tradition, Innovation, Community: International Federation for Theatre Research Annual Conference, 9 August 2011, University of Osaka, Osaka, Japan. Keyte, J (2011) The Campaign for Objects in Purgatory. Sheffield Institute of Arts Gallery, Sheffield, UK, May 2011. Kinloch, J.M and White, K.G (2011) Amount-dependent temporal discounting in humans. In: New Zealand Association for Behaviour Analysis, 8th Annual Conference, 26-28 August 2011, University of Waikato, Hamilton, New Zealand. Lalic, M (2011) Colour and metal: three commissioned paintings. Royal Albert Museum & Art Gallery, Exeter, UK, 2011. Lalic, M (2011) Maria Lalić: landscape paintings (solo exhibition). Galerie Renate Bender, Munich, Germany, 30 June – 30 July 2011. Lewis-Smith, C (2011) Box. .
Lewis-Smith, C (2011) Built to Last. .
Lewis-Smith, C (2011) The Navigator. .
Malik, I.H, Khan, S, Khan, R and Gul, M (2011) Shared values, shared experiences: Pakistan - London. In: Religion, Identity, Citizenship, 16 July 2011, Tooting, London. Marshall, R and Establet, L (2011) Sustainability reporting in the food industry. In: 6th International CIGR Technical Symposium: Towards a Sustainable Food Chain Food, 18 - 20 April 2011, Nantes, France. Marshall, R and Maxwell, L (2011) Sustainability and nutrition labelling for consumers. In: 6th International CIGR Technical Symposium: Towards a Sustainable Food Chain Food, 18 - 20 April 2011, Nantes, France. Marshall, R and Schmal, J M B (2011) How sustainable is fair trade? In: 6th International CIGR Technical Symposium: Towards a Sustainable Food Chain Food, 18 - 20 April 2011, Nantes, France. Marshall, R and Yadav, R (2011) Understanding product carbon footprint and waste management in sandwich manufacturing. In: 6th International CIGR Technical Symposium: Towards a Sustainable Food Chain Food, 18 - 20 April 2011, Nantes, France. McCree, M (2011) Shared space: a methodology. In: Play Research Network, January 2011, London, UK. McCree, M (2011) Working creatively with young people at risk outdoors. In: Youth Probation Conference, 18 - 20 October 2011, NGO O.S. Mosty, Czech Republic. McInnes, K (2011) Indicators of children's wellbeing in activities defined by children as play or not play. In: 18th IPA World Conference: Playing into the Future - Surviving and Thriving, 4 -7 July 2011, Cardiff City Hall, Cardiff, Wales. McInnes, K (2011) The role of playful practice for learning in the early years. PhD thesis, University of Glamorgan. Medjesi-Jones, A (2011) Correspondences. Backestrasse 4 Gallery, Vienna, Austria, February 2011. Medjesi-Jones, A (2011) Mediated Image, a body of work included in Correspondences: a group exhibition curated Silvie Aigner. Bäckerstrasse 4 Gallery, Vienna, Austria, 11 September - 9 December 2011. Medjesi-Jones, A (2011) A shock to thought – conditions of the emerging image. In: Tableau: painting photo object, 28 - 29 October 2011, Tate Modern, London. Middleton, T (2011) Transatlantic transformation - effective international collaboration. In: Transform - Strategies for Integrative Learning, August 2011, Columbia College Chicago. Minott, P (2011) Descending a staircase. The Dispensary Gallery and Radio Cinema, Bath, July 2011. Minott, P (2011) La Cage du champ. Neale, J (2011) Climate change factsheets. Neale, J (2011) Our Jobs, Our Planet: transport workers and climate change. European Transport Workers Federation. Parry-Williams, T (2011) Bite size. Touring exhibition, 2011-2012. Parry-Williams, T (2011) Towel: hand towels and more by Tim Parry-Williams. Ruskin Mill, Nailsworth, 21 May - 5 June 2011. Parry-Williams, T and Ida, I (2011) Plain, Stripe, Check. Museum in the Park, Stroud, UK, 8 January-20 February 2011. Power, T (2011) Lear 1864: Trail of Tears (Shakespeare performance). University Theatre, Bath Spa University, 19-21 January 2011. Presley, N (2011) Many are the deceivers. Anne Sexton's transformations and suburban popular culture. In: Myths and Fairy Tales in Film and Literature post-1900, University of York. Purcell-Gates, L (2011) Tout bouge [Everything moves]: the (re)construction of the body in Lecoq‐based pedagogy. PhD thesis, University of Minnesota. Ruhemann, L (2011) Where the river flows (short story collection) and The sense of a story: a study of closure in open-ended short fiction (critical study). PhD thesis, Bath Spa University. Sarma, U (2011) Yerma. West Yorkshire Playhouse, Leeds, UK. Sellers, S and Wright, E.H (2011) Adapting Susan Sellers' 'Vanessa and Virginia' for the stage. In: Twenty-First Annual International Conference on Virginia Woolf, 9-12 June 2011, University of Glasglow, Scotland. Simm, D (2011) Student peer mentoring and new staff. In: GEES Early Career Lecturers Workshop, 24 May 2011, Department of Geography and Development Studies, University of Chester. Slade, C (2011) 'Changing channels: how satellite TV altered the view of citizenship.' Projects, April. Slade, C (2011) Media and citizenship: policy implications. In: Media & Citizenship: Final Presentation of Project Results, 24 March 2011, Fondation Universitaire, Brussels. Slade, C (2011) 'Medicine is a snip in Vlad's pad.' The Australian Higher Education supplement, Feb.
Slade, C (2011) Political and cultural citizenship - the role of the media. In: Freedom and Communication: Citizenship and Identity in a Mediated World, 21 May 2011, City University, London. Smith, G.M (2011) Eliciting expert opinion on impacts to bats on a European protected site using Delphi and Monte Carlo modelling. Smith, G.M and Cryer, R (2011) Biodiversity management systems: reports to Torfaen County Borough Council. Soyinka, B (2011) Translating Tales of the Trickster. Stamp, R (2011) Equality: does it really / still matter? In: International Womens Day 2011, 8 March 2011, Bath Central Library. Steadman, M (2011) Fugitive Songs. In: Houston Fringe Festival, Houston TX, USA, August-September 2011. Sullivan, S (2011) Nature on the move III: (Re)-countenancing an animated nature? In: Nature TM Inc.: Questioning the Market Panacea in Environmental Policy and Conservation, 30 June - 2 July 2011, Institute for Social Studies, The Hague, The Netherlands. Sullivan, S (2011) Natures [speaker]. In: Natures at Wilderness Festival, 12 - 14 August 2011, Cornbury Park, Oxfordshire, UK. Sullivan, S (2011) Trance Namibia? Juxtapositions of music, dance and desire in a desert landscape. In: Listening for a Change: Environment, Music, Action, British Forum for Ethnomusicology, 5 November 2011, School of Oriental and African Studies (SOAS), London, UK. Sullivan, S, Martin, A and McGuire, S (2011) Conflicts we see and conflicts we don’t: biodiversity conservation through and ecosystem services framework. In: ACES 2011 Conservation Conflicts: Strategies for Coping with a Changing World, 22 - 25 August 2011, University of Aberdeen, Aberdeen, UK. Thebo, M (2011) Narrative techniques to 'de-otherise' the wrong. In: Life writing and human rights: genres of testimony, 11-13 July 2011, Kingston University, London, UK. Thomas, M. (2011) Some animals. Tooby, M (2011) 'Home and away: collections abroad.' Engage, 28. Tooby, M (2011) Kelvin Road mantelpiece. In: Made in Roath, Cardiff, 2011. 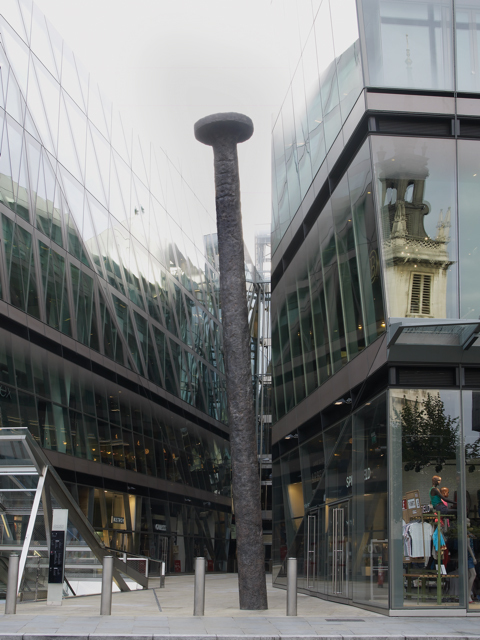 Turk, G (2011) Nail: a sculpture, commissioned by Land Securities for One New Change. One New Change, London, EC4M 9AF, UK. Vyner, T (2011) DesignInquiry; and two-week workshop. In: DesignInquiry/The Second International Print Exchange, May 2011, Oct 2010, Montreal, Canada, Xi'an Academy of Fine Arts, Xi'an, China. Welsh, P (2011) Comedy Academy stand up night. In: Chairman's Ball, Pump Rooms, Bath, UK, April 2011. Whistler, D (2011) Freddy Gore: the Engaged Eye. Wilson, C (2011) Creekside Open selected by Dexter Dalwood [group exhibition]. A.P.T. Gallery, London, UK, 12 – 29 May 2011. Wilson, C.J.R (2011) Current research/practice. In: Placement Exhibition Symposium, 5 November 2011, Fife Contemporary Art & Craft, St. Andrews, Scotland. Wilson, C.J.R (2011) digit_digital: ceramic surface as site of meaningful conflict. In: Parallels and Connections 3: A Ceramic and Glass Research Conference, 2011, National Glass Centre, University of Sunderland, Sunderland, UK. Winlow, H (2011) Gridding the nation: US state cartographies and Indian exclusion, c. 1850-1940. In: 24th International Conference on the History of Cartography, 10 - 15 July 2011, Moscow, Russia. Woiwode, C (2011) Exploring new horizons: climate change, urban development and spirituality. In: 3rd World Planning Schools Congress: Planning's Future – Futures Planning - Planning in an Era of Global (Un)Certainty and Transformation, 4 - 8 July 2011, Perth, Australia. Woiwode, C (2011) Transcendence and spirituality: human needs of an urban species? In: 12th N-AERUS Conference : “The City at a Human Scale", 20 - 22 October 2011, Madrid, Spain. Wood, J and Harrison, P (2011) 10 x 10. Von Bartha, Chesa, Switzerland, 26 August - 4 September 2011. Wood, J and Harrison, P (2011) Bored astronauts on the moon. 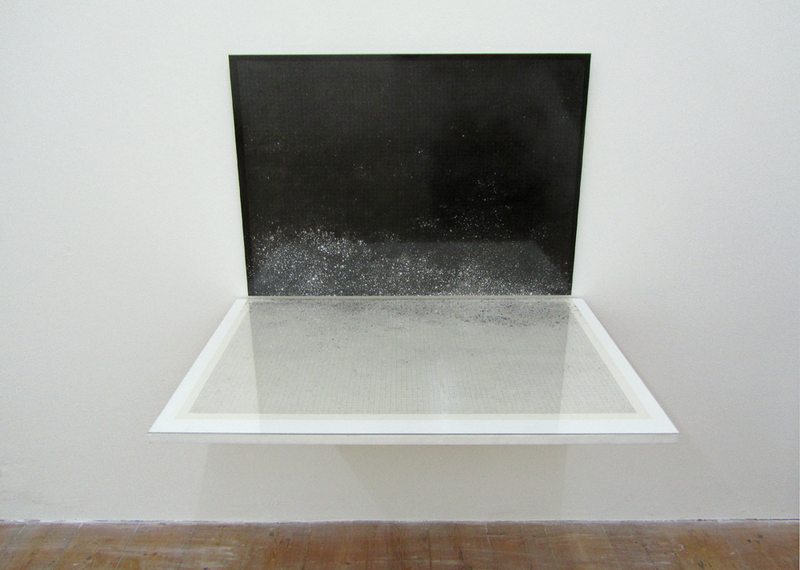 In: Le Voyage dans la Lune, The Centre D’Arts Plastiques Albert Chanot, Paris, France, 26 January - 30 March 2013. Woodacre, E (2011) The Queen and her consort : succession, politics and partnership in the kingdom of Navarre, 1274-1512. PhD thesis, Bath Spa University. Woods, C (2011) The Unquiet Head: solo exhibition and accompanying catalogue. The Hepworth, Wakefield, 22 October 2011 - 29 January 2012. Wright, E.H (2011) Adapting Susan Sellers' 'Vanessa and Virginia' for the stage. In: Virginia Woolf in the 21st Century, 12 February 2011, University of St. Andrews, Scotland. Wright, E.H (2011) Bloomsbury at play. In: 'What Signifies A Theatre?' Conference, 17-18 June 2011, Royal Holloway, University of London, UK. Yang, H, Chen, F, Zhou, H, Ward, M and Chu, W. C (2011) Requirements recovery by matching domain ontology and program ontology. In: IEEE 35th Annual Computer Software and Applications Conference (COMPSAC), 18 - 22 July 2011, Munich, Germany. Yang, H, Sawle, J and Raczinski, F (2011) A framework for creativity in search results. In: Content 2011. The Third International Conference on Creative Content Technologies, 25-30 September 2011, Rome, Italy. Yuan, T (2011) ‘Diploma’ serves ‘diplomacy’- a different donor logic by China? In: 11th UKFIET International Conference on Education and Development, 13 - 15 September 2011, Oxford, UK. This list was generated from ResearchSPAce on Tue Apr 23 20:58:37 2019 UTC.